New video footage of the ‘Paniai massacre’ of December 2014 in West Papua draws attention to the abuses committed by the Indonesian army and police, and their disregard for the lives of indigenous West Papuans. It also stresses the need for Indonesia to hold an independent and transparent investigation into the massacre. The disclosure casts doubt about the commitment of the Indonesian government to human rights in West Papua. New video footage showing the bloody aftermath of the ‘Paniai massacre’ in West Papua highlights the urgent need for Indonesia to hold an independent and transparent investigation into the tragedy, Minority Rights Group International (MRG) said on Thursday [9 April 2015]. In December 2014 four unarmed Papuan teenagers were killed and 17 more Papuans were injured when the Indonesian army and police opened fire on a group of peaceful protestors in Paniai. They had gathered to protest an earlier incident of violence by the Indonesian security forces. The four-minute video, shot by citizen journalists and released publicly for the first time today [9 April 2015], includes first-hand testimony from survivors of the massacre as well as graphic footage taken in the immediate aftermath. Both the national human rights commission and the Indonesian police have launched investigations into the incident, known as the ‘Paniai massacre’. However the police -- who initially blamed the shooting on armed ethnic Papuan rebels -- have been accused of stymying the investigation. The massacre is one of the worst acts of state violence in Indonesia in years, casting doubt on President Joko Widodo’s commitment to human rights in the region. 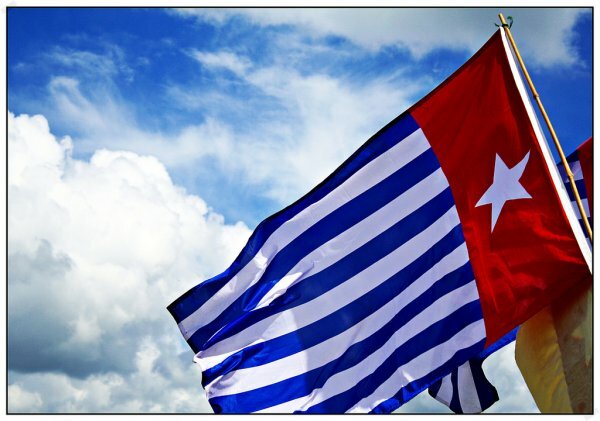 Six months after President Widodo was sworn into office pledging to ‘give special attention to West Papua,’ there has been little change on the ground. Despite recent efforts by Jakarta to improve delivery of basic services like health and education, the Indonesian government continues to crack down on peaceful protestors, silence critical civil society voices and shut out members of the international media. Reports of extrajudicial killings, torture, arbitrary arrests and detention of indigenous activists are common. Since the annexation of Papua to Indonesia in May 1963, the human rights of indigenous Papuans has been under sustained attack. Widespread violations – including extra-judicial killings, torture, disappearances, and arbitrary arrests and detentions – have been consistently perpetrated by Indonesian security forces. The resource-rich region has been systematically exploited by Indonesian and international business interests at the cost of climate change and the indigenous population. Thousands of indigenous people have been evicted from their lands as a result of large-scale development projects implemented without obtaining their free, prior and informed consent. Indonesia is currently serving its fourth consecutive term as a member of the UN’s Human Rights Council.